The teaser trailer for Pokémon The Movie 2018 has dropped, the 21st Pokémon movie overall. It shows a very new art direction departing from series norm, a mysterious female trainer, and little else. It releases in Japanese theaters on Friday, July 13th 2018. 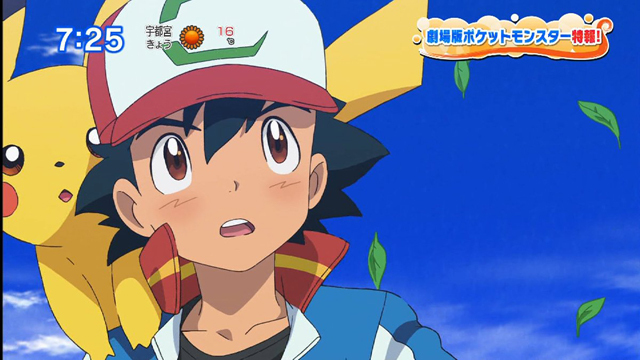 Eagle-eyed viewers will note that Ash Ketchum (Satoshi in Japan) is sporting the same hat he did in this year’s 20th movie, indicating that the 21st is a direct follow-up, and another entry not tied to the continuity of the TV anime (the last one to do so was the 19th movie in 2016). The music at the end is Lugia’s theme from the Japanese version of the 2nd Pokémon movie, Revelation Lugia. The 21st Pokémon movie is a unique collaboration between series animators OLM and WIT Studio, best known for their work on Attack on Titan. Also new to the movie series, for the first time it will be directed by someone other than regular Kunihiko Yuyama. Tetsuo Yajima, who storyboarded and directed episodes of the XY arc, will take the directors chair while Yuyama will be animation director. The first full trailer for Pokémon The Movie 2018 is expected to drop in early March, as is pattern with the series’ Japanese marketing blitz. A western release will likely be announced sometime next year.